Morocco is about to put into orbit a second observation satellite that would complete the aerial surveillance of the Moroccan territory for civilian applications only. The second spacecraft, baptized the MOHAMMED VI-B satellite, is part of the space program decided by the King of Morocco in 2013. The realization of this program, spreading over a five-year period, was entrusted to the consortium Thales Alenia Space and Airbus. Morocco launched the country’s first microsatellite in 2001 when it’s Maroc-TUBSAT (Zarkae Al Yamama), a joint undertaking between the country’s Royal Centre for Remote Sensing and the German Technical University of Berlin, hitched a ride on a Zenit-2 rocket whose primary payload was the Russian Meteor-3M satellite. 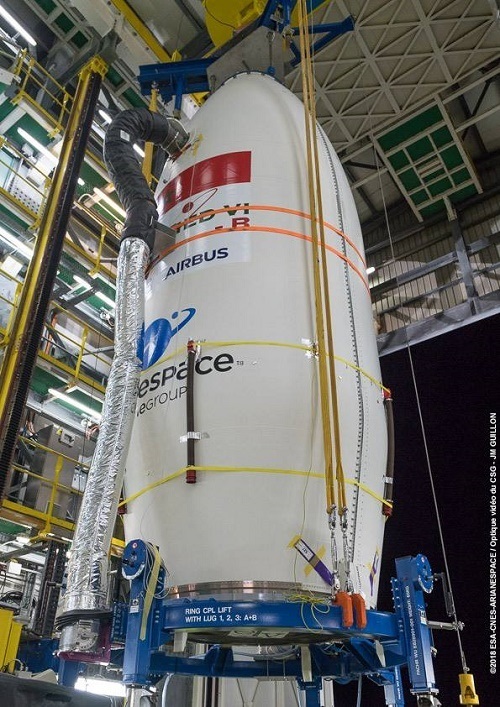 Weighing about 1,110 kilograms, the new Mohammed Vl-B satellite will be launched a year after the successful launch of the Mohammed VI-A satellite on November 8, 2017. The project cost Morocco €500 million and will be able to monitor activities on its borders; taking pictures with a precision of 50 centimeters. Morocco’s two earth observation satellites, Mohammed VI-A and Mohammed VI-B, were named after after King Mohammed VI of Morocco. The consortium Franco-Italian satellite manufacturer Thales Alenia and the French Airbus Defence & Space agency developed both satellites. Piloted from Morocco, the new monitoring satellite will be circulating in the same orbit as the first satellite, 620 kilometers above the Earth. “Being complementary, the MOHAMMED VI – A & B satellites will jointly enable a faster coverage of zones of interests,” Arianespace wrote in a statement on November 13. According to Buzz News, the device is capable of turning around the Earth in just 100 minutes and is expected to operate between 15 and 30 years thanks to its photovoltaic mirrors which generate energy from enable solar power. Moroccan engineers and technicians were specifically trained in Morocco and abroad to manage Mohammed VI-B satellite in the same way as Mohammed VI-A. Morocco is the third African country to have a reconnaissance satellite after Egypt and South Africa. However, Morocco will be the first African country to possess a constellation of earth surveillance satellites equipped with a very high resolution. The Mohammed VI-B satellite is capable of taking up to 1,000 images per day with a resolution of up to 70 centimeters. Mohammed VI–B satellite will be mostly used for mapping and land surveying activities and will help farmers in their agricultural activities. The Mohammed VI-B satellite will develop Morocco’s cadastre and cartography including topographic mapping and its daily update as well as land parcel survey. Having two earth observation satellites will optimize map localisation and enhance the visualization of road and rail networks and allow for updating cartographic background. The new satellite will help in agriculture field by surveying farmlands through a thematic cartography and assessment of soil fertility. It will enable a diagnosis of the state of cultivation which will help farmers optimize their performance and map their irrigated zone. By using satellite information, the country will have better observation of the territory, in terms of forest fire control and anticipation. The country can anticipate climate variations such as drought or floods. It will also help in case of natural disasters such as earthquakes or fires by showing a cartography of affected areas. Using this sophisticated-technology will enable identifying water sources and a cartography for humid areas in addition to quantifying water volumes in dams and lakes. According to Satellites 4 Everyone, data of earth observation satellites can “analyse soil composition and moisture content, and measure flood water depth, and then calculate likely water flow characteristics.” The obtained information can help predict the impact of flood events. The satellite will also be of use to public works and transport especially in monitoring major infrastructure projects such as solar power plants, wind farms and dams. Using high-resolution satellite remote sensing images will provide stakeholders with exact information on the construction progress. Placed about 620 kilometers above the Earth, Mohammed VI-B will ensure a better border and littoral surveillance, especially in case of soil occupation evolution and undocumented migration. It will also help Moroccan security agencies to track potential terrorists and fight smuggling across borders, namely in the Sahel region. Both Mohammed VI-A and Mohammed VI-B complement each others as they provide joint civilian and military uses to ensure national security against potential foreign threats. The Mohammed B-A satellite was also used to successfully to detect illegal activities from the Polisario Front east of Morocco’s defense wall earlier this year. Morocco used satellite images that showed Polisario in the region to prove the separatist group’s illegal maneuvers. The Mohammed VI satellite technology is capable of taking more than 500 images a day with an update to its data every six hours. Moroccan authorities remained silent about the launch of the first satellite which Algeria and Spain deemed it would be used for spying. “We thought that Algeria would overtake Morocco since it was the only one to have a space agency. Thanks to the transfer of technology, Algiers had participated in the construction of its small satellites, Alsat 1 and 2. But with a device of such power, Morocco has taken the lead, “said Sborowsky. The Moroccan Ministry of Defense will pilote both satellites in a control base near Rabat-Sale airport. 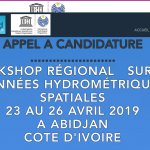 Rabat’s Royal Centre for Remote Sensing (CRTS) will oversee the satellite. The project is part of an agreement between France and Morocco signed in 2013 when former French President Francois Hollande visited Morocco.